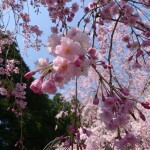 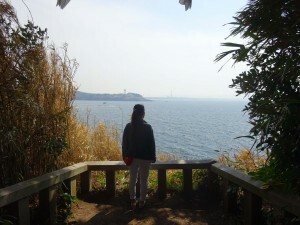 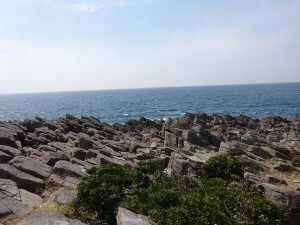 Oshima island is located near Tojinbo, but not many people know about Oshima island. 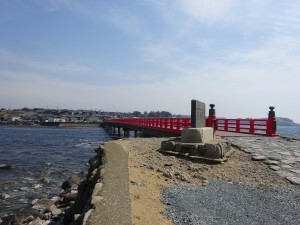 It’s 5 minutes far from Tojinbo by car. 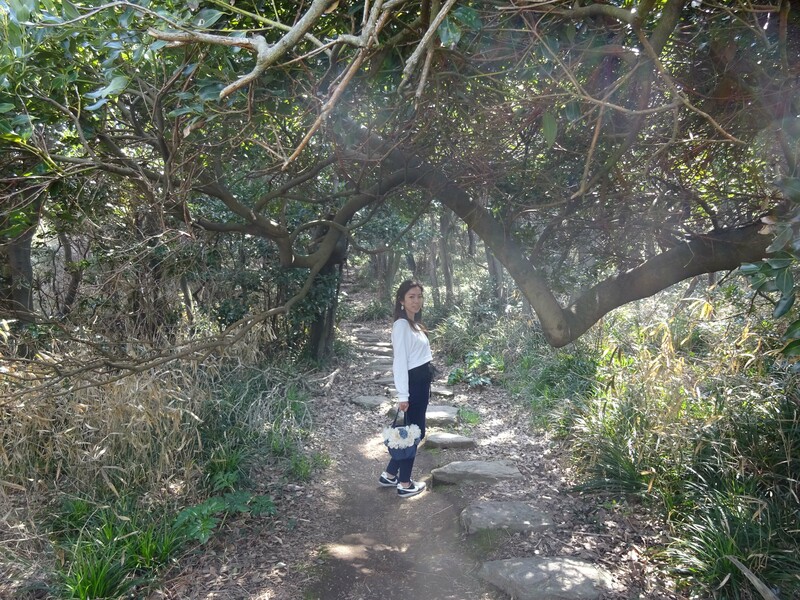 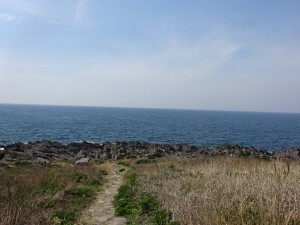 Oshima island is uninhabited and really small island that is only about 2㎞ in circumference, and area is 0.102㎢. 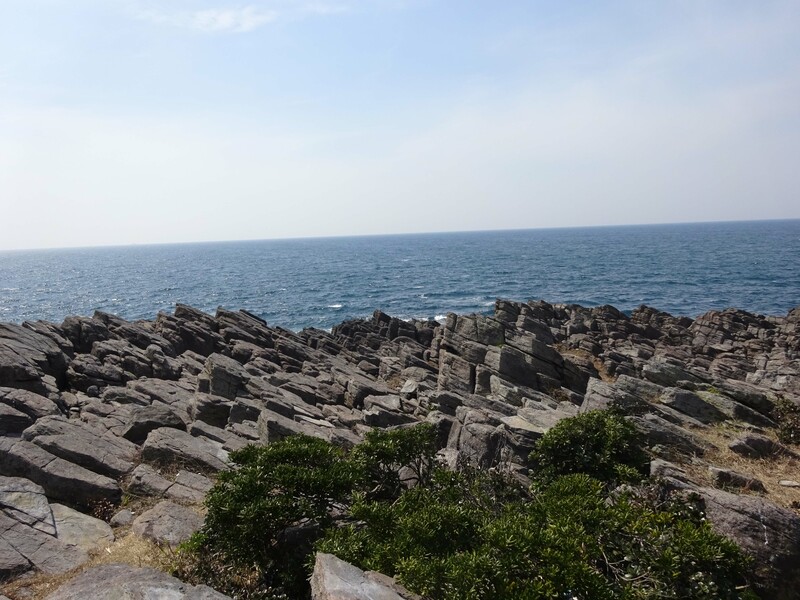 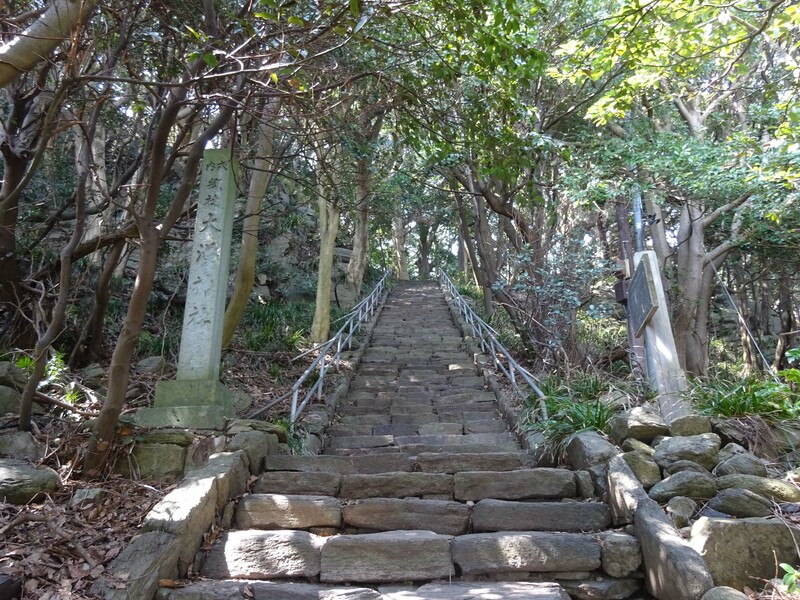 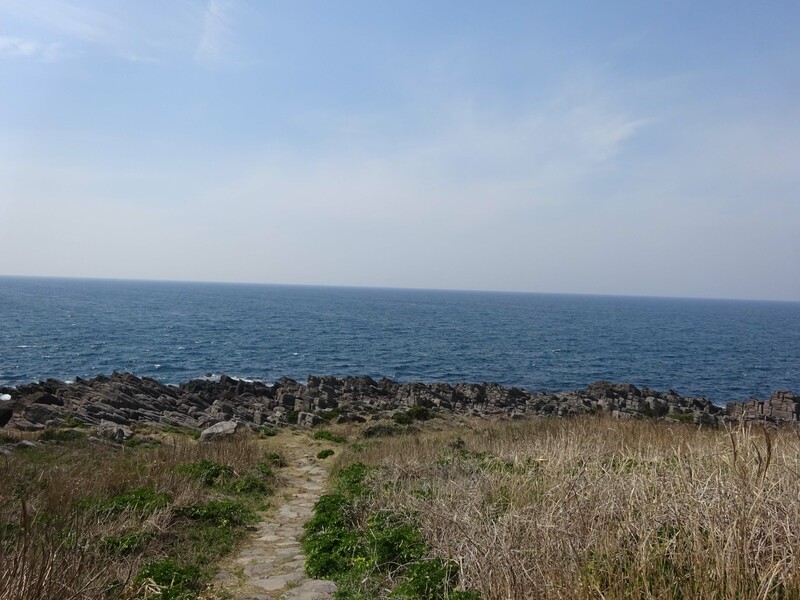 It’s one of the greatest power spot in Fukui, and local citizens believe that there’s a God in Oshima Island. 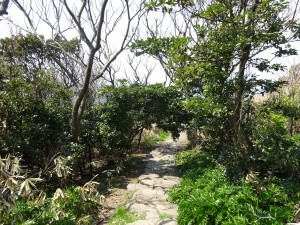 Oshima Island is such a holy island. 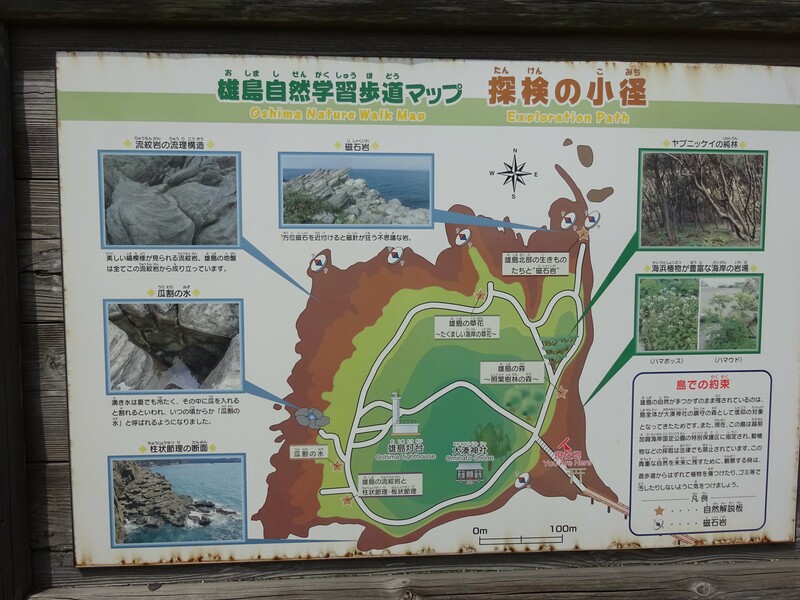 On the other hand, this island has some rumors that it’s psychic spot. 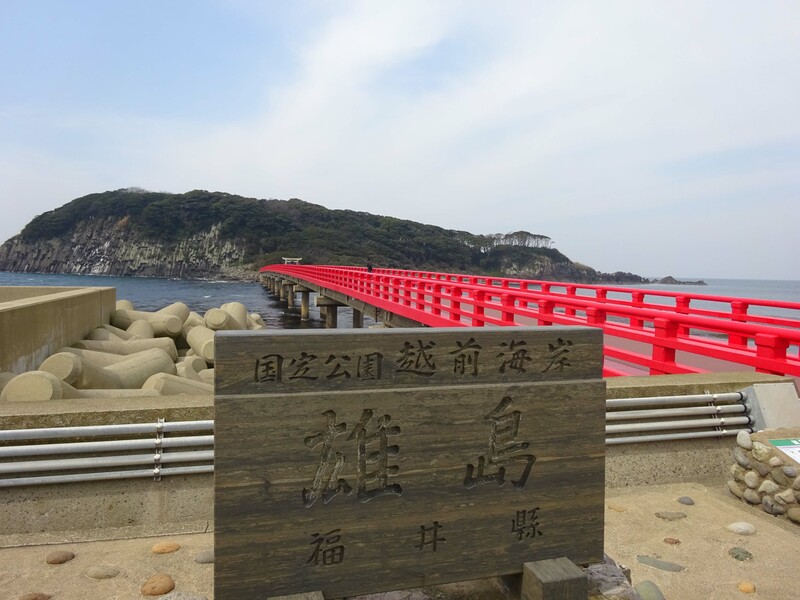 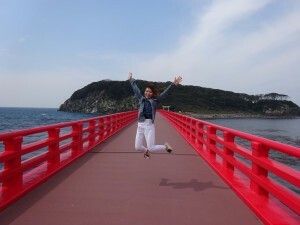 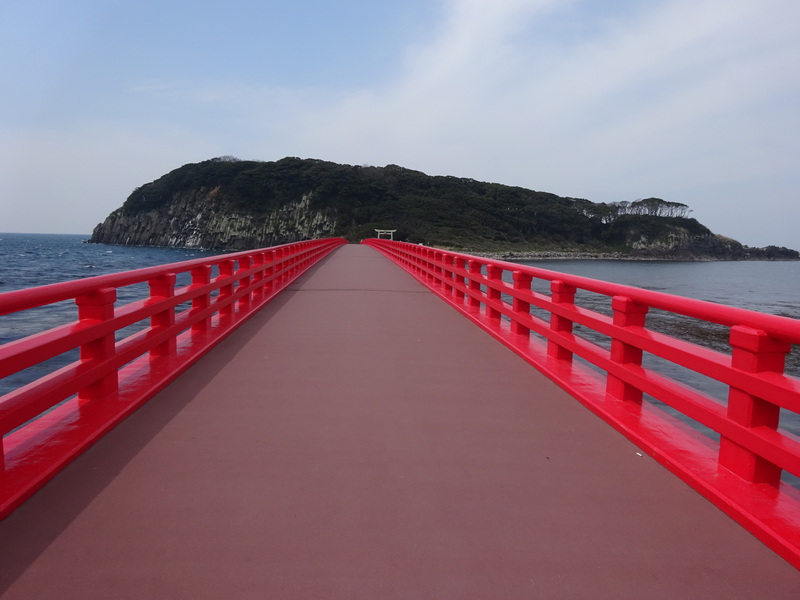 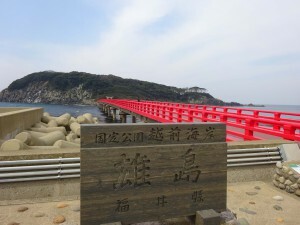 Anyway, speaking of Oshima Island, beautiful red bridge is famous. 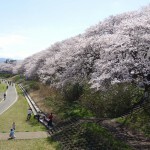 It’s as long as 224m!! 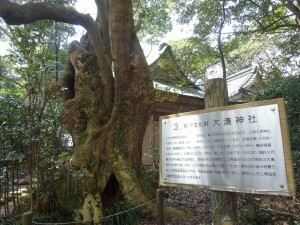 There were no people when we visited. 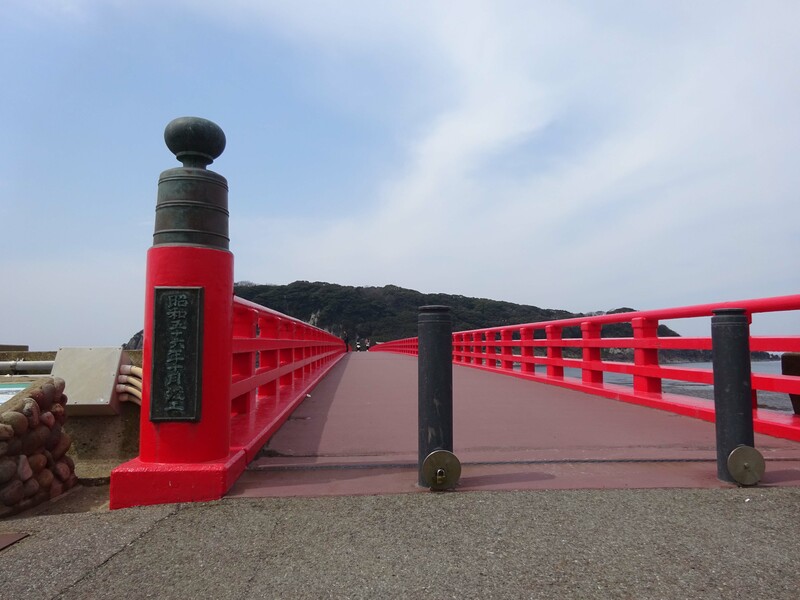 It was warm day, but the wind blew strongly and it was a little cold on the bridge. Arrived at Oshima after long bridge, we found the big stone Torii. 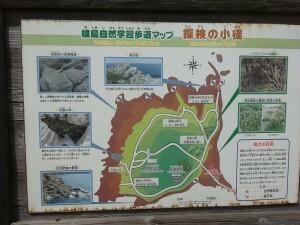 Let’s check the map first. 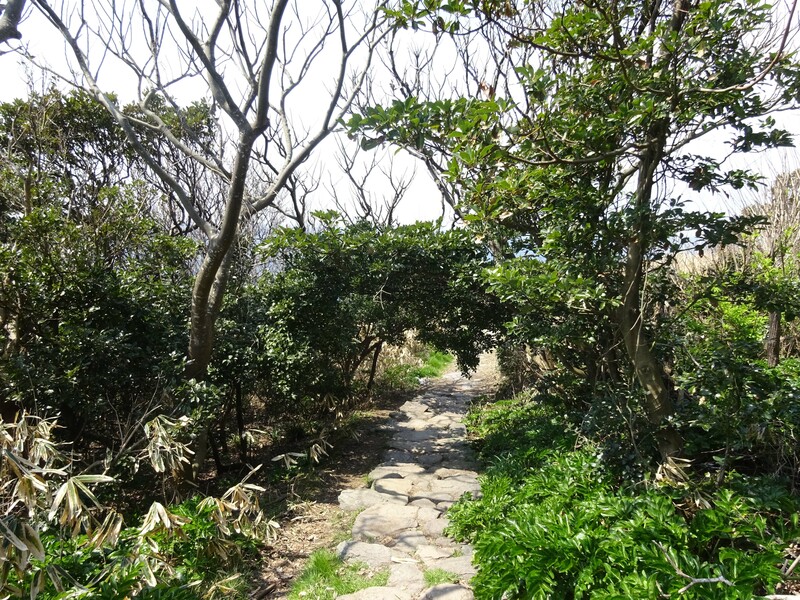 Go up stairs, and we took the left fork of the road. 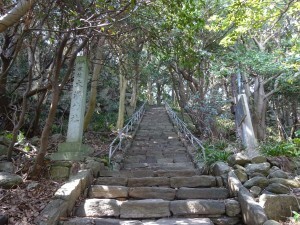 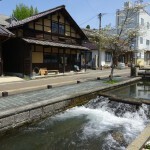 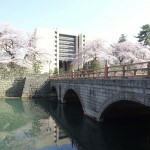 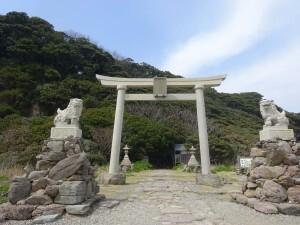 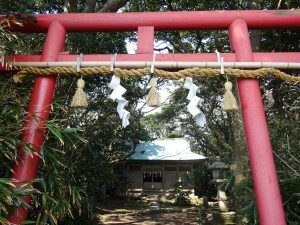 This is “Ominato shrine”which is designated ”Important Cultural Property”. 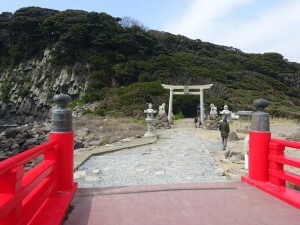 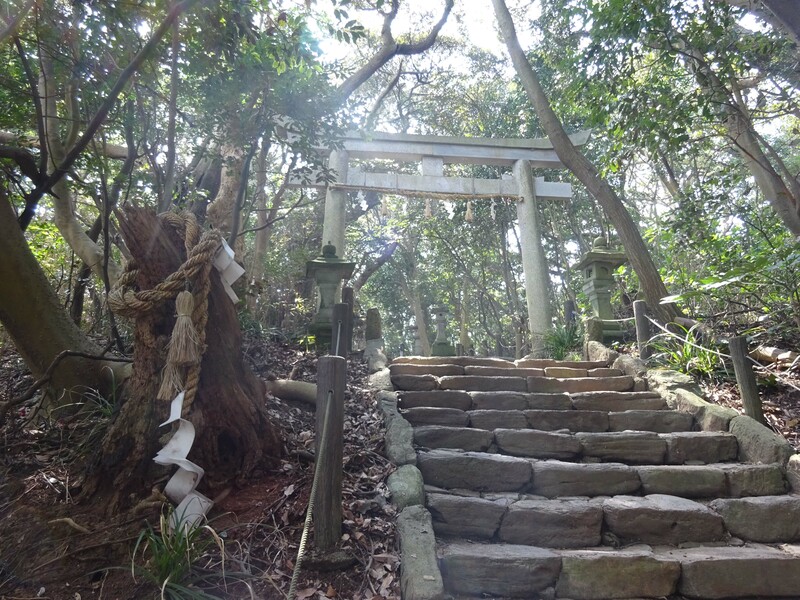 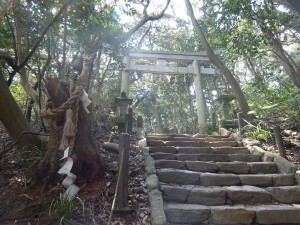 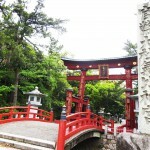 Pass through this small red Torii, we can see the Tojinbo. 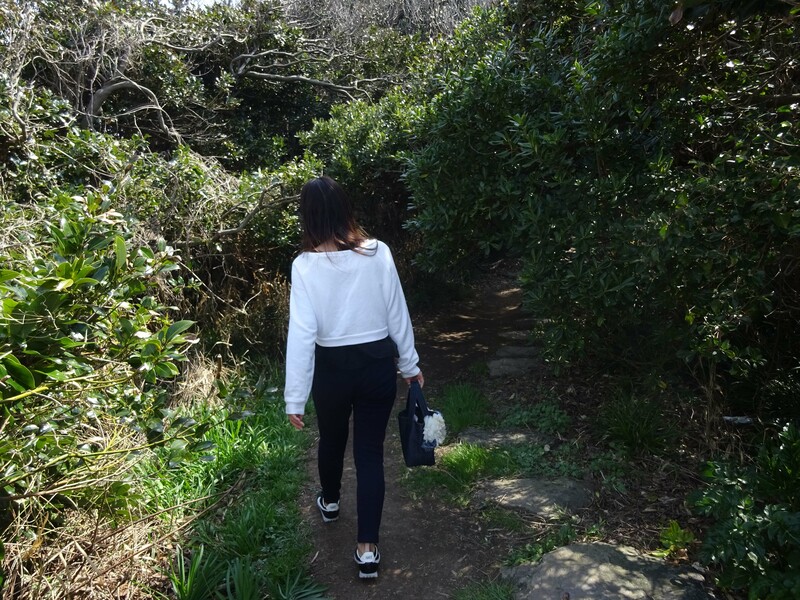 It took just 15minutes to walk around.